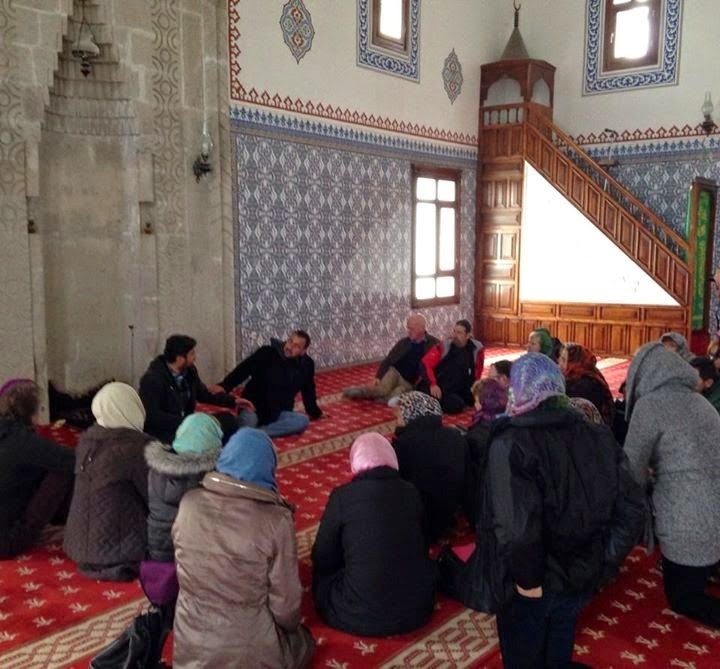 This morning we’ll travel to the village of Güzelyurt and meet with the local mosque’s Imam (counterpart to a minister or rabbi), with an opportunity to ask questions about the Muslim faith and the separation of mosque and state in Turkey. After lunch we’ll hit the road and, like Silk Road travelers hundreds of years ago, stop to admire the intricate carvings of a medieval caravanserai (unlimited camel parking). 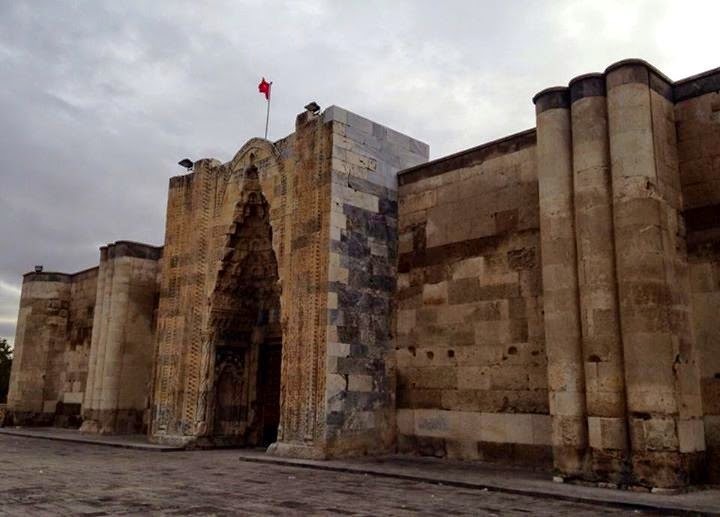 Today’s destination is conservative Konya, famous as the 13th-century home of Mevlâna Rumi. 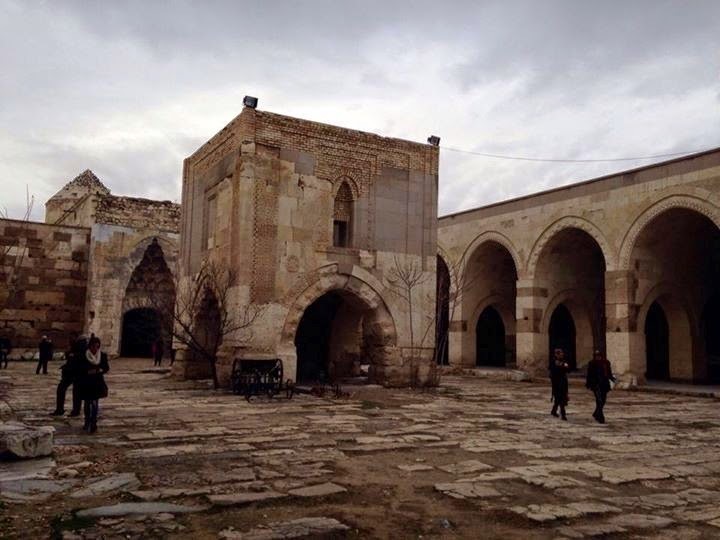 We’ll tour the poetry-filled Mevlâna Museum, also the site of the mystical philosopher’s tomb, a Muslim holy place, before setting you free for dinner on your own. Sleep in Konya (1 night). Bus: 5 hrs. Walking: moderate. texts were written by Jamie Blair Gould. After an evening buffet accompanied by Cappadocian wine, Mert’s chosen Raki and Colin’s excellent highland malt, the morning started slowly! The stop at country Mosque was the right spiritual move! The Imman, Emir, was not the bearded, cloaked sage the West so readily imagines but a handsome young man in a leather jacket with cell phone in hand. Much more the in the image of the young married Vicar the Church of England is trying to recruit today – compassionate and in touch.